The communal facilities established for the use of The Gates residents and their friends consists of a Clubhouse, swimming pool and entertainment area. 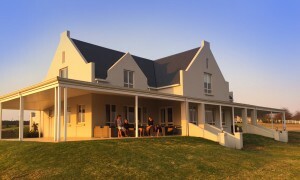 The clubhouse does not have a liquor licence, but is available for meetings and private functions, as well as for informal gatherings of residents. The Fleur-de-lys Club is situated on the Hilton College campus, near the McKenzie entrance gates and beside the Hart-Davis cricket oval. 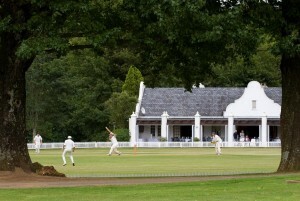 Built in the characteristic Cape Dutch style, the clubhouse consists of a bar, lounge/dining room with fireplace, additional function room, enclosed verandah and memorabilia shop. Membership of the Club is drawn principally from the ranks of Old Hiltonians, current and past parents, staff and others associated with the College. Visitors to the College are most welcome. The Fleur-de-lys Club is licensed and open throughout the year. Particularly popular as a venue for lunch and drinks on Saturdays during school term time, and after matches in the afternoons, it also regularly hosts functions such as school and private dinners, reunions, weddings, parties and other get-togethers. The Club looks forward to catering for the requirements of members who are residents of The Gates. On acquiring a site at “the Gates at Hilton”, the purchaser will be entitled to apply for membership of the Fleur-de-lys Club, at the rate applicable at the time, and to maintain that membership throughout the period of ownership by annual renewal. That membership will entitle the owner to full use of the facilities of the Club, and to access to the Estate as described above. It is understood that use of certain facilities may attract specific fees. The Gates residents are encouraged to join the Fleur-de-lys Club. In addition to being able to make use of the Club’s facilities, membership will also entitle residents to agreed access to the facilities and amenities of Hilton College.